Introduction: Gena Philibert-Ortega is a genealogist and author of the book “From the Family Kitchen.” In this guest blog post, Gena writes about an unusual—but a personal favorite—source of family history information: ephemera. As I research my family history I look forward to finding unusual sources that reveal different aspects of my ancestor’s life beyond what an online index provides. One unusual source I find myself searching for is ephemera. In fact, I LOVE ephemera. What’s ephemera you ask? Well one of the official definitions is “paper items (such as posters, broadsides, and tickets) that were originally meant to be discarded after use but have since become collectibles” (from Miriam Webster). At first glance that may seem to refer to only a few items but, according to the Ephemera Society of America, the Encyclopedia of Ephemera lists 500 categories of ephemera. Vintage ephemera can provide details of your ancestor’s life, even vital record information, or a specific place and time for them. 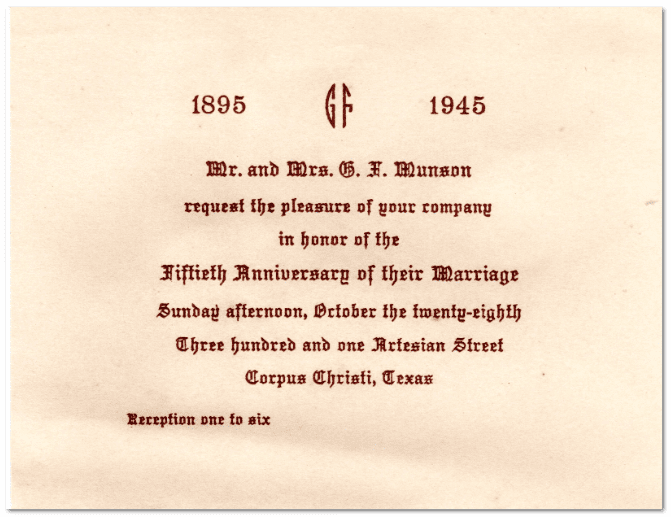 Ephemera example: wedding anniversary invitation. From the author’s collection. In genealogical terms it can include everything from your grandparents’ World War II ration books, a Christmas card your great-grandparents sent out, newspaper clippings of obituaries and marriage announcements, to the letters your 4th great-grandfather wrote from the battlefield during the Civil War. But it’s even more than that. In some cases it may be tidbits that provide social history information like a World War I recruitment poster or a menu from the first restaurant in your hometown. 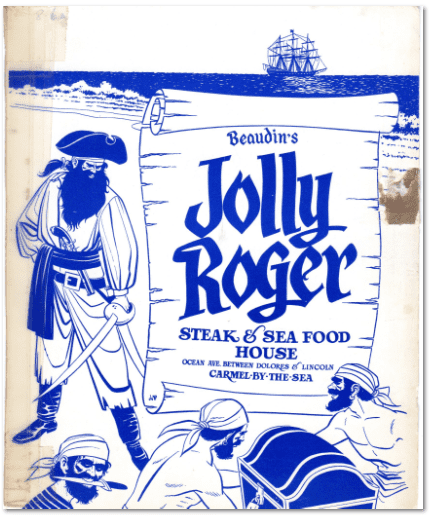 Ephemera example: restaurant menu. From the author’s collection. Not everyone fully embraces ephemera in genealogical research. Why? These types of historical records can be difficult to find. In searching for ephemera that has your ancestor’s name on it you will need to start with home sources. When I refer to a home source, I’m not just suggesting looking for items in your home. Ask your family members about any types of items they may have inherited. In some cases family members may not realize what genealogical treasures they have. It might take several discussions where you reminisce or conduct an interview before they remember some of the items they have been holding on to. I recently blogged about a letter I found in my childhood stamp collection that was given to me by my maternal grandmother. She had given me the letter to keep because of its interesting stamp. As I read this long-forgotten letter, I realized it contained important genealogical information from her own research on an English family line from the 1800s. Cast your genealogical fishing line far and wide, and reach out to a distant unknown cousin who may have an heirloom or a forgotten item in their home. Utilizing social media can help get the word out about your research. Consider using a blog, website, Twitter or Facebook as just some of the ways to help other researchers find you. 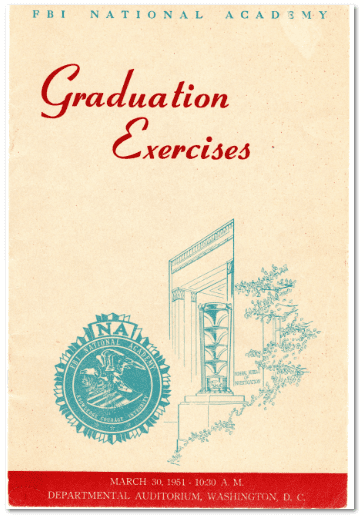 Ephemera example: graduation exercises brochure. From the author’s collection. Ephemera can also be found in collections housed at archives, libraries, societies and museums. One way to find these types of historical collections is to search either the repository’s catalog or a union catalog (one that includes multiple repositories), such as ArchiveGrid or the National Union Catalog of Manuscript Collections (NUCMC). When researching collections, search on the place your ancestor was from to find materials that might have originated with an acquaintance or neighbor. Also consider groups and organizations your ancestor was a member of when searching through collections. 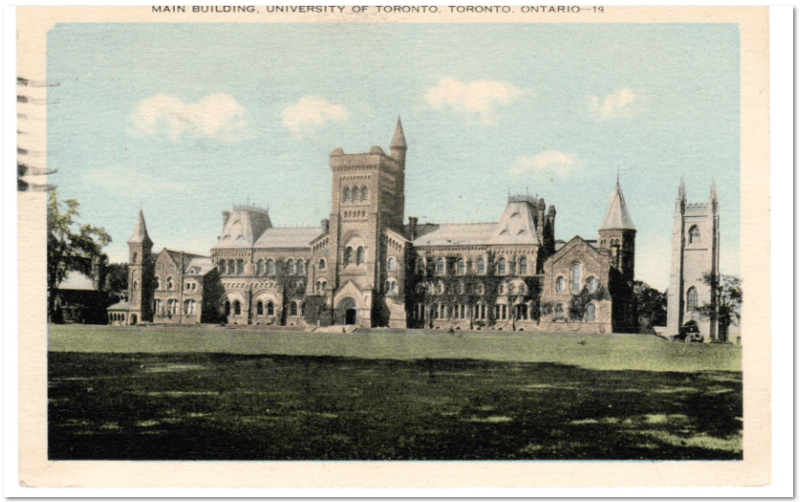 Ephemera example: postcard. From the author’s collection. Do you have ephemera from your family or someone else’s? Consider sharing this by scanning and posting it on the Internet. Several non-genealogy blogs share ephemera they have found or collected. Check out Forgotten Bookmarks, Paper Great, and Permanent Record for ideas of how others are sharing ephemera. By sharing their genealogical finds and collections they make it possible for descendants to be reunited with their family history.